Abhisheck Lodha says he is in a hurry. 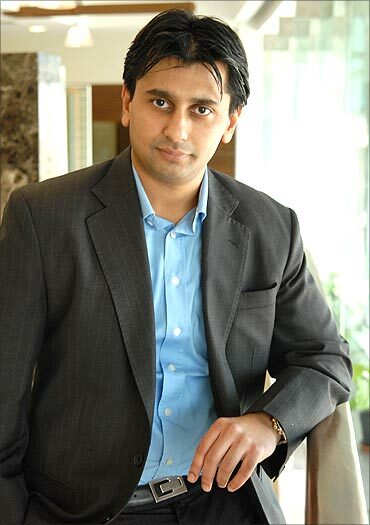 The 30-year-old managing director of the Lodha Group, who had a stint with McKinsey before joining the group which is the same age as him, clearly walks the talk. In the past month, the company has bagged the country's biggest land deal for Rs 4,050 crore (Rs 40.50 billion) and announced its plan to build the world's tallest residential tower at 117 storeys. There is more. Lodha launched one project every month in the last nine months and is developing 38 other projects over 29 million square feet, mostly in Mumbai. 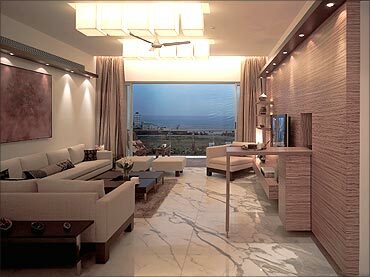 And not only premium luxury projects like Lodha Bellisimo. The projects include seven mid-income housing projects under the Casa brand, every apartment costing Rs 15 lakh to Rs 50 lakh, in Mumbai suburbs such as Thane and Dombivli. Not a bad going for a group known more for its conservative approach than planning big. Today, the group, run by brothers Abhisheck and Abhinandan, and their father Mangal Prabhat Lodha, a Bharatiya Janata Party member of the Legislative Assembly in Maharashtra, has taken on jobs even the DLFs and Unitechs of the world would think twice about. Lodha Group Senior Vice-President R Karthik says the company was growing in a certain way but Abhisheck and Abhinandan, who got educated abroad, brought a different thought process and vision to the company. The thought process has, of course, also been shaped by the over 45 MBAs from the Indian Institutes of Management. During the last IIM placements, Lodha was among the first-day employers and picked five graduates each from IIM Ahmedabad and IIM Bangalore. But where is the money coming from, for taking on so many projects? Numbers are hard to come by as the company is still unlisted (it has been trying for a Rs 2,500-crore (Rs 25 billion) initial public offer but has deferred it). But the company's draft red herring prospectus (DRHP) says it had a negative cash flow of Rs 179.8 crore (Rs 1.79 billion) in financial year 2009 and Rs 1,497 crore (Rs 14.97 bilion) in financial year 2008. 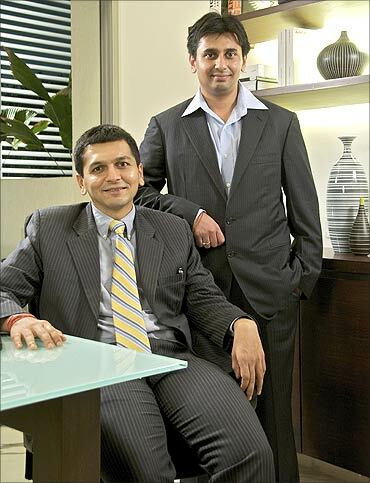 Image: Abhisheck and Abhinandan Lodha. Lodha, however, counters this by saying it is nothing but ''misconception.'' According to him, the company has enough cash flows to service its commitments and has net cash flows of Rs 60 to Rs 70 crore (Rs 600-700 million) from its internal accruals. "We are the third-largest developer in the country by sales,'' he claims. The company has around Rs 1,000 crore (Rs 10 billion) debt on books but no payment scheduled this year. While the group launched its flagship project, the 48-storey Bellissimo in 2006, investors such as JP Morgan (Rs 274 crore) and Deutsche Bank (Rs 1,640 crore) invested in the projects. For the world's tallest tower and the land deal, Lodha says the payment option is staggered - 10 per cent upfront and the rest in easy instalments over five years and that arranging money isn't an issue. He plans to build the Rs 2,000-crore (Rs 20 billion) World One (for which the largest land deal took place) project through customer advances, debt and private equity. The group is believed to be talking to a clutch of private equities for funds till the time the IPO is finalised. Although he declined to disclose details, Lodha is believed to have initiated discussions with leading Singapore funds GIC and Temasek, and a property fund of mortgage giant HDFC to raise over Rs 1,000 crore (Rs 10 billion). "We have strong internal accruals and are not in a hurry to hit markets. I do not want my investors to lose money in these volatile markets,'' Lodha says. The fact is the IPO is crucial for Lodha, as the company said earlier it would use around Rs 1,833 crore (Rs 18.33 billion) from the IPO proceeds towards construction financing and Rs 299 crore (Rs 2.29 billion) to repay and prepay debt of its subsidiaries. Lodha would only say the permission for an IPO is valid for the next eight months. "They have demonstrated their capacity to launch and execute projects in all price points and different parts of Mumbai,'' says Sanjay Dutt, chief executive at Jones Lang LaSalle Meghraj (JLLM), a property consultant. Not many are convinced. 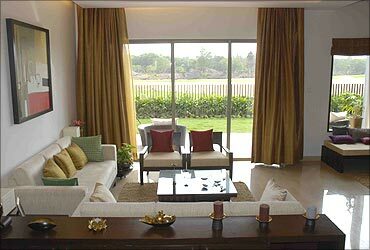 Competitors say Lodha has a patchy track record on its projects in the past. "Most of their projects have been delayed by one to two years. They have barely completed any project. If they take 15 years to complete the Lower Parel project, it does not make sense,'' says one of the largest privately-held developers, who does not want to be quoted. Lodha denies this and says while Bellissimo is on the verge of completion, the company has completed 2,000 apartments in Thane and 2 million sq ft of space in Kanjurmarg, among others. There are some other concerns as well. Analysts say it's not clear whether the Wadala land deal will be value for money. There are many large developments already coming up in the neighbourhood with no demand. Lodha counters this, saying the location of the land in central Mumbai, the monorail and metro rail connectivity at Wadala, and the deferred payment option will make it attractive for buyers. Then there are other concern areas as well. 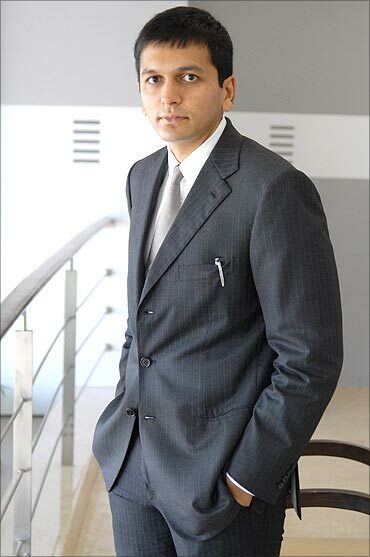 For example, Lodha's IPO plans come with riders from investors such as Deutsche Bank. One of them is that it needs to pay Rs 1,640 crore (Rs 16.40 billion) to Deutsche by December 2010 for the investment the German investor made in the developer in the form of convertible debentures in Lodha's subsidiary Cowtown. Otherwise, Deutsche will become the owner of Cowtown, which owns Lodha's key projects such as Bellissimo in Mahalaxmi, Lodha Aqua in Mira-Bhayandar and other land tracts in Thane district. According to the agreement between Lodha and Deutsche, the former has to do an IPO of at least Rs 2,000 crore (Rs 20 billion) as Deutsche has invested Rs 1,640 crore (Rs 16.40 billion) in the developer and it wants Lodha to raise higher than that. It was also agreed that Lodha would give a minimum rate of interest of 13.65 per cent on the debentures and increase up to 22.50 per cent if market conditions improve. Lodha downplays this and insists the company would be able to pay the money to Deutsche by December and raise required funds through IPO. Mumbai to get world's tallest residential tower!